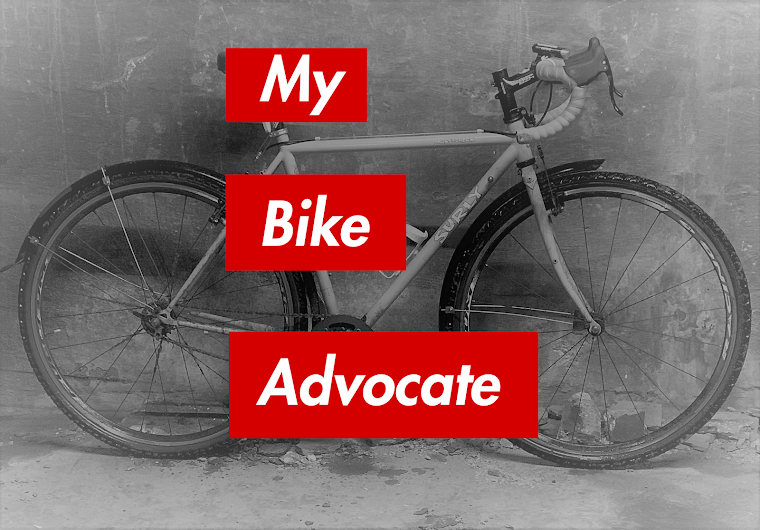 My Bike Advocate: Riding Single File vs. Two Abreast: What's the Law? Riding Single File vs. Two Abreast: What's the Law? Q: I had an angry driver accost us on a casual ride about taking up the whole road. We were in the rightmost lane, riding more or less with traffic, and two abreast. What are the laws on riding two abreast? The law as it regards riding single file versus two abreast, a.k.a., riding next to each other, tends to reflect the frustration and sometimes hostility between those who like to use their bikes for transportation and exercise and those who think bikes belong on sidewalks or on limited use paths. In many places in the United States riding two abreast is legal; except when it isn’t. In some places it is explicitly prohibited. Unfortunately, it is difficult to provide a bright line rule. Much will depend on the law of the state you are in, the local ordinance of the town you are riding through (which may differ from the state’s vehicle code), the width of the roadway and the judgment of a police officer. I recognize that this is not a satisfactory answer, but hopefully an explanation will offer some guidance. Persons riding bicycles… upon a roadway shall not ride more than two abreast. Simple, right? You can ride two abreast but not three or more. But the section continues: Persons riding bicycles upon a shoulder, bicycle… lane, or bicycle… path, intended for the use of bicycles… may ride two or more abreast if sufficient space is available. The section adds, however, that when passing another user of the bike path or lane, cyclists must do so while riding single file. Okay, but wait: Persons riding bicycles… upon a roadway shall ride… single file when being overtaken by a vehicle. So it appears that while street riding in New York, you may ride two abreast; that is until a driver feels that you are in the way and wants to pass. Then you must revert to single file. Got that? Let’s take a look at Illinois. As in New York, the Illinois legislature giveth, then it taketh away. The relevant state statute says: Persons riding bicycles or motorized pedal cycles upon a roadway shall not ride more than 2 abreast, except on paths or parts of roadways set aside for their exclusive use. This does not seem quite as onerous as the New York law. Still, there is much left open to interpretation so as to erode the confidence of cyclists when riding two abreast. What exactly does it mean to “impede the normal and reasonable movement of traffic?” What traffic? Motor vehicle traffic? Bicycle traffic? And who gets to decide? Generally it will be a police officer who makes the controlling judgment call. The officer will likely look to another section of the Illinois Motor Vehicle Code for guidance which states that a person on a bicycle riding: at less than the normal speed of traffic at the time and place and under the conditions then existing shall ride as close as practicable and safe to the right-hand curb or edge of the roadway. To the extent that the left most rider riding two abreast is not as close as practicable and safe to the right side of the road, he or she may be subject to a traffic citation. But wait, it gets even trickier in the Land of Lincoln. Some towns/municipalities have taken it upon themselves to regulate this issue. This means that during a single ride the law may change as you pedal across town boundaries. 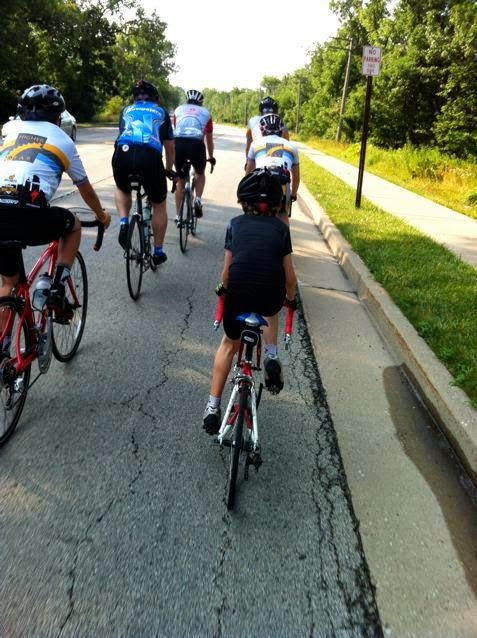 For example, let’s say you would like to begin a group ride with your buddies in Chicago and head north into the suburbs, a very common practice for club riders here. At the beginning of the ride in the City you may ride two abreast, so long as you are not impeding traffic. However, as you reach the North Shore suburb of Winnetka you must “ride single-file, except on paths or parts of roads which are set aside for the exclusive use of bicycles.” To the best of my knowledge, cyclists are not warned of a change in the law as they enter Winnetka. Perhaps a sign that says something like, “Welcome To Winnetka; Now Get In Single File” would alert cyclists to adjust their group riding formation accordingly. Absent that, it seems that before setting out with a buddy on a ride in Illinois, you must research the local ordinance of each town you plan to pass through. Because what’s more fun than preparing for a bike ride by doing a whole bunch of legal research? California has taken an arguably novel approach to this issue. Its state code says this about two abreast vs. single file riding: Nothing. The California vehicle code does not address the matter at all. So that means you can ride two, three, four, five, etc. abreast in that state, right? Not so fast. As we saw in Illinois, some municipalities in California have taken it upon themselves to address the matter. For example, a local ordinance in Torrance states: Persons operating bicycles upon a roadway shall not ride more than two (2) abreast except on paths or parts of roadways set aside for the exclusive use of bicycles. But… He interprets the law as requiring, “If traffic traveling in the same direction approaches them [the cyclists], then they must move as far to the right as practicable. So, even if it is only one car that comes up behind them, if there is a rider that is alongside another, and in the traffic lane, they must pull in behind or ahead of the rider. If they can safely ride abreast in a marked bike lane, they would not have to do this.” In short, cyclists not riding single file where a car wishes to pass are subject to citation. So, what is the takeaway from this sampling of the law in three big states with major metropolitan areas? It is that unless riding two or more abreast is explicitly outlawed (I’m looking at you Winnetka, IL), you may do so without getting hassled by the police so long as there are no drivers who wish to pass. If a driver going in the same direction wishes to pass the best practice to avoid legal trouble is to revert to single file. Which would you rather pass? A tight group of 8 cyclists riding two up, or a tight group of 8 cyclists riding single file? The distance (and time) required to pass the single file group is DOUBLE that required to pass the group riding two abreast. If the pass requires the use of the oncoming traffic lane, often overtaking a group of riders riding two abreast is easier than overtaking a group riding single file. Ironically, legal, practical, and safe are not always the same. Depends. In a busy city, single lane each way street, stay single file when there is traffic. Derp. (That's the law where I live). Just like tractors or horse and buggies have stay over to let traffic by, why not bikes? I mean, really, going 30 on a busy city street is dangerous for a bike, and that's what the cars are doing. I don't understand the hubris of many bicyclists thinking their perceived need for momentum supersedes being safe. Signed ~ someone who walks, buses, rides and drives about equally. And stop calling passing overtaking; that makes it sound overly aggressive. It often/usually is just normal. And start policing bicyclist more who run red lights and always go into crosswalk and ride on BUSY city sidewalks. I honestly feel most at risk b/c of other cyclers, followed by pedestrians jaywalking when riding, more than cars.